Set in contemporary Chicago, 'Viudas' is the fun and evocative story of four women who, in a moment of confusion, decide to turn their lives around. 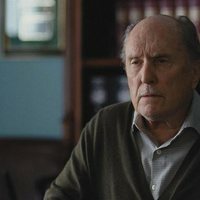 They will have very few things in common, but there is something that unites them with force, the debt left by their husbands after a large number of criminal acts. Together they will conspire to make a future according to their own desires and desires, but for that they will need to finish the work that their husbands are. This means that, wanting to burn the law and steal a bank in order to pay off all outstanding debts, will they get it? Viola Davis, Michelle Rodriguez, Elizabeth Debicki and Cynthia Ervio star in this fast-paced story thay will keep you in your feet. 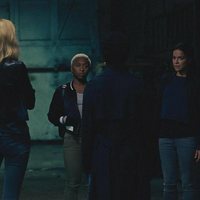 Clip 'Widows': "Pull this off"
Clip 'Widows': "I know why"
Write your own 'Widows' review. This will be the first feature film directed by Steve McQueen that doesn't have Michael Fassbender in the cast. 'Widows' is the first Steve McQueen's film after winning an Academy-Award for '12 Years a Slave'. When the movie was announced there were rumors that Amy Adams was going to be involved.